VCU Health- Connecting with the largest audience possible: A Marker Seven Case Study | Marker Seven - Product Design & Development. VCU Health is a medical center at Virginia Commonwealth University (VCU) in Richmond, Virginia, dedicated to leading-edge technology and academically-driven excellence. Every month, VCU Health produced and distributed a PDF newsletter to 12,000+ staff members about the program, but the general lack of engagement with the static newsletter caused program managers to wonder if they could implement a more effective communication strategy. Partnering with VCU Health’s advertising agency, initiate•it, Marker Seven designed and built a robust publishing platform that incorporated VCU Health’s new brand, reduced time spent on logistics by program managers and presented the material in a far more engaging and informative way. 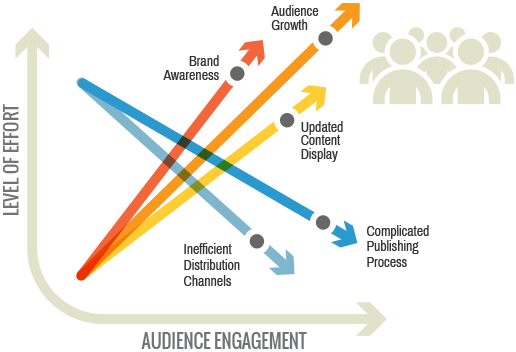 Within a budget, timeline, and a goal to increase engagement in mind, we began looking for the specific barriers to engagement. User groups enabled us to narrow our focus to raising awareness of VCU Health brand, developing new channels of distribution to reach users where they are, improving the content presentation, and making it easier for managers to publish. Many of the target users don’t have access to a desktop computer in the day-to-day activities of their job, so mobile was our first design priority. In user focus groups, we learned that VCU's users want an experience that was responsive, in email and online, and printed for key gathering areas around the offices. 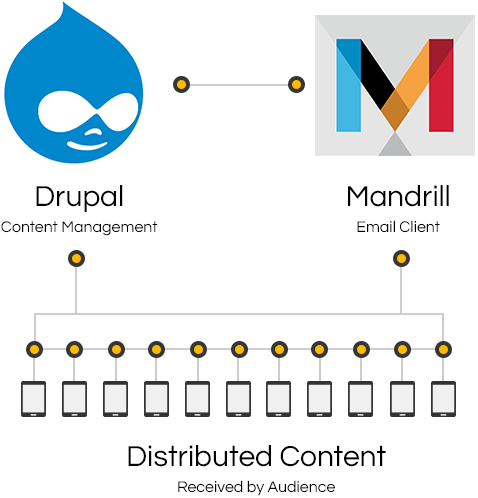 To centralize control of publishing, we built a custom publishing platform using Drupal that integrates with the mail client, Mandrill. This enables the VCU Health team to create a custom newsletter template, publish an online version, and also email the newsletter directly to everyone in their database, all within the online publishing portal, saving the team time, effort, and stress. Products are not born, they evolve, so it's important to have a long-term plan, an actionable measurement strategy, and the flexibility to pivot and address unexpected results. By measuring activity through Google and Mandrill analytics, and helping VCU Health execute surveys and polls, we can continue to make analyses and recommendations to serve their changing needs for years to come.